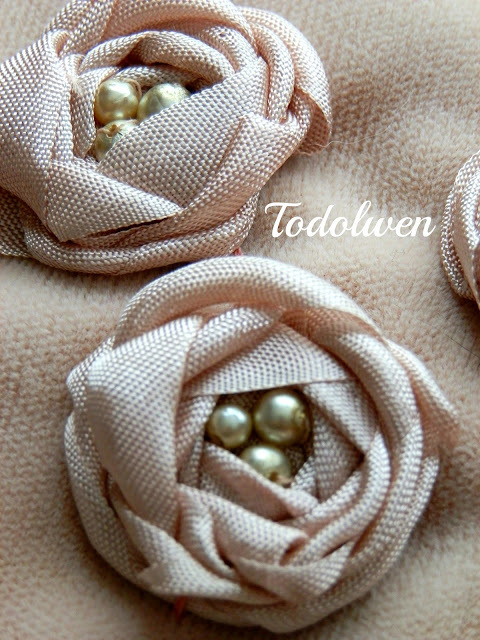 Todolwen: More Seam Binding Roses ..
... but this time I am embroidering them onto vintage velvet. ... tomorrow I will be ready to share my finished creation. Maybe if you have a moment spare tomorrow you could visit me here at Todolwen again ~ it would be so nice! They are just perfect. I guess practice does make perfect. I will have to find the tutorial on these. I think they would look sweet on one of my pinkeeps. Hi Karen, your roses are dreamy, I look forward to seeing more! These are so pretty! The colors you have choose make them look so elegant. I will be back tomorrow to see more! 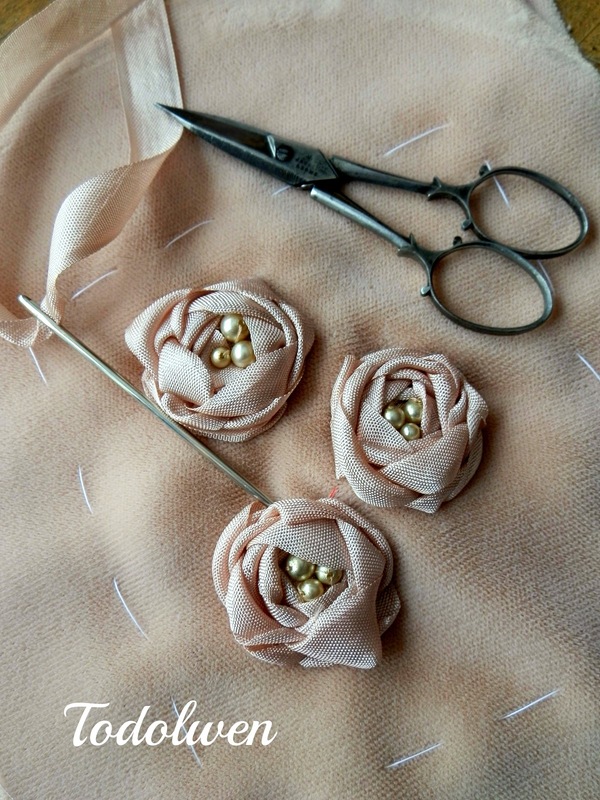 I miss reading your blog for a few days and there you are creating these precious little roses. (And I have TONS of Hug Snug seam binding). 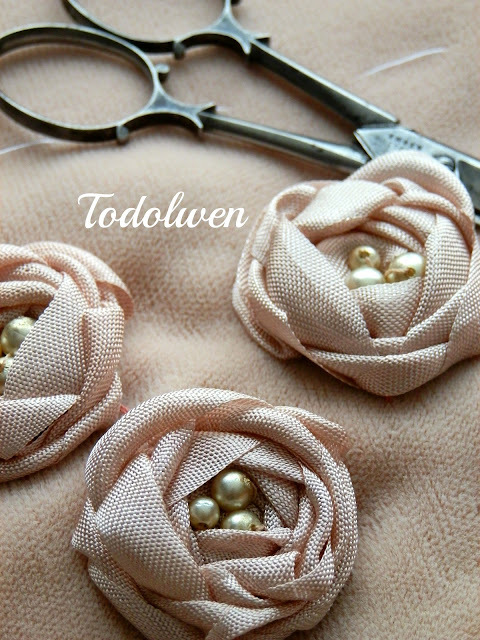 The scissor pouches are so pretty with those added roses. Can't wait to see what you've done for tomorrow.